AUGUSTA, Maine — In a surprise vote Wednesday, the Maine Senate passed a bill that creates civil penalties for those who sell guns in private sales to people who are prohibited from having them. Sen. John Patrick, D-Rumford, and Sen. Troy Jackson, D-Allagash, voted against the measure. Patrick said later he voted with his constituents on the issue noting many are avid sportsmen, National Rifle Association members and advocates for personal protection. Sen. Stan Gerzofsky, D-Brunswick, the Senate co-sponsor of the bill, said while the measure had been killed twice before, it was “resurrected” again Wednesday. Gerzofsky co-chairs the Criminal Justice and Public Safety Committee with Rep. Mark Dion, D-Portland, the sponsor of the bill. The committee debated LD 1240 — and dozens of other gun-related bills — extensively before issuing split reports on whether it should pass. With a 78-71 vote Wednesday afternoon, the House moved the bill closer to the desk of Republican Gov. Paul LePage, who is expected to veto LD 1240 because it conflicts with his gun rights philosophy. The House and Senate background-check votes fall far short of the two-thirds majority it would take to override a potential veto. Still, Gerzofsky seemed undeterred, noting a recent poll that suggests nearly 90 percent of Maine residents support background checks for all gun sales. The measure would not apply to sales between family members and it does not make a background check mandatory for a private sale, Gerzofsky said. The legislation also will not prohibit anybody who is legally entitled to possess a firearm from doing so, he added. The bill was among dozens that looked to address firearm issues this lawmaking session. 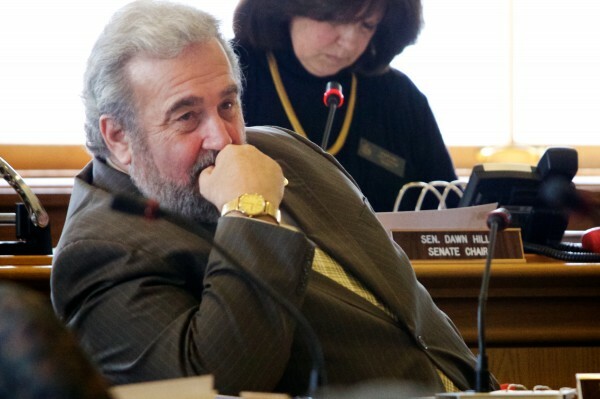 Gerzofsky said that while several bills that would have increased gun control failed to make it through the process, Democrats were also able to fend off legislation to loosen control in Maine. He noted a bill that would have allowed public school employees to carry weapons in schools and a bill that would have allowed for the carrying of concealed handguns without a permit were both defeated. Another bill that passed allows police, under certain circumstances, to question those openly carrying firearms to identify themselves, he said. Democrats were unable to advance bills that would have prohibited the sale of high-capacity ammunition magazines or ones that would have required federal background checks at gun shows in Maine. “We’ve accomplished a lot more than people realize,” Gerzofsky said. Republicans have largely opposed the measure as an infringement upon 2nd Amendment rights under both the state and U.S. constitutions.